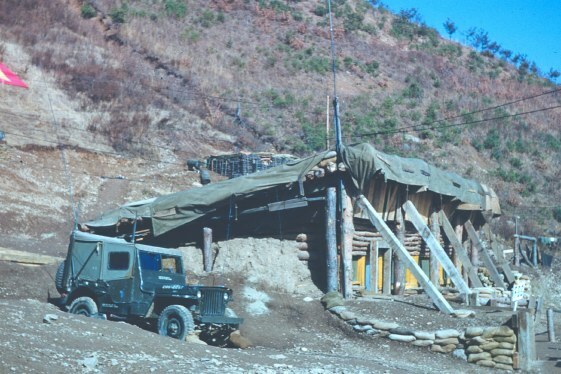 During all or portions of the 143rd's tour in Korea an Air Force unit had men assigned to Headquarters Battery. They were responsible with the control and coordination of artillery fire with close are support. The Mosquitos were that unit during 1952. I am doing more research to see if they were there for the entire war or if other units shared that responsibility. 143 FA FDC November 1952. 6150 Tactical Control Squadron TACP radio jeep next door. flag. 105s are hidden to the left opposite the flag. 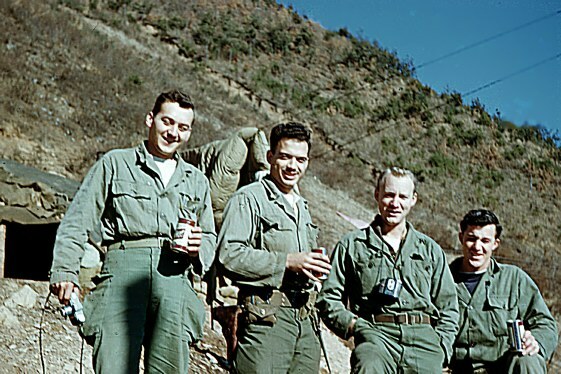 Members of the 143 FA FDC Christmas 1952 Mundung-ni valley. Chester, Harris, Johnson, Zeke. They lived in the bunker upper left. This is another composite photo. Bloody Ridge is in the center. The 105mm are along the right. 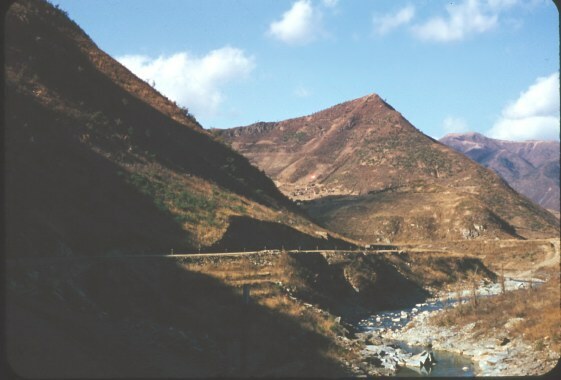 This is looking south east down into valley. Here is a composite photo of the 'great winter resort' of 143FA. Mess tent on left. FDC large flat roof. My little 'home' was triangle between FDC and mess hall. Click on image for a larger version.